Tobias started his PhD in Environmental Economics at the LSE in 2014. His research focuses on green national accounting, sustainable development and distributional aspects of economic growth. Tobias holds both a BSc and an MSc in Environmental Economics from the LSE where he graduated in 2014. 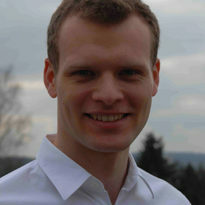 Tobias has acquired work experience on low-carbon development strategies with GIZ in Costa Rica and Tata Capital in Mumbai.